Fig with Tofu Purée "Shira-ae"
1. Cut the figs in half. 2. Combine tofu, dashi, sugar, tahini and white soy sauce in food processor or blender, blend together until puréed. 3. 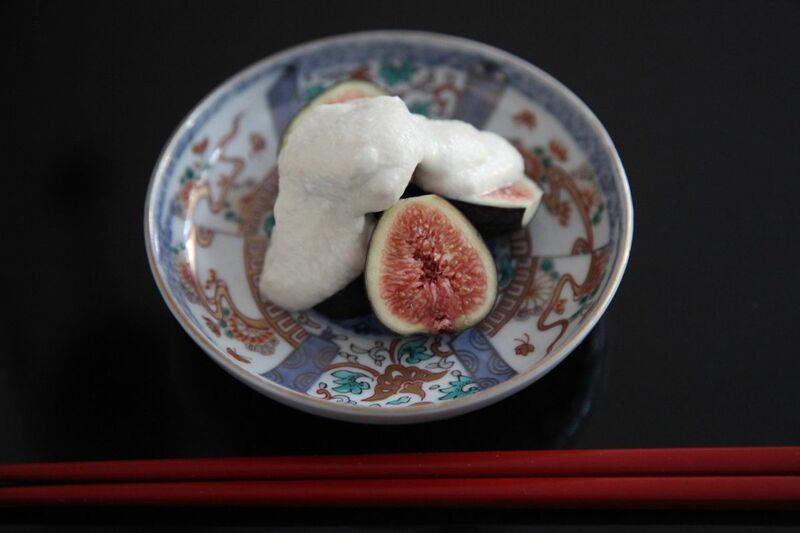 Arrange figs on the plate with tofu purée.